Polyester Laminating Resin AR4117 is a room temperature curing, rigid, translucent, polyester resin for use with fiberglass fabric. It is an air-inhibited resin so additional layers can be applied without sanding between layers. Consequently, AR4117 is often called bonding resin or laminating resin. Successful applications include boat-building, auto body construction, mother mold production and other reinforced plastic parts by hand lay-up or chopper gun. MIX RATIO: The gel time and cure time are both dependent on three parameters: (1) the percentage of MEK-P catalyst used; (2) the temperatures of all ingredients and the surrounding environment; (3) the mass concentration of the resin, i.e., a solid-cast shape vs. thin film. A good starting point, at 72°F, is 1-1/4 % catalyst by weight. This is equivalent to 10 drops catalyst per ounce of resin, or 1 teaspoon catalyst per pint of resin. This level will result in a 15 min pot life and a 24-hour cure. As temperatures rise above 72°F, decrease catalyst, and vice-versa. Polyester resins will not cure below 60°F. Experiment until the correct ratio is determined for your specific application. In general, mix what you can use in 10 minutes. 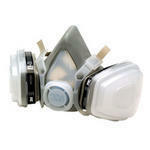 Remember to always wear eye-protection when working with polyester resin and catalyst. The strength of a fiberglass composite comes from the glass fibers. Thus, in making a strong fiberglass part it is crucial to use the correct amount of resin. Using a fiberglass roller will help saturate all the fabric with a minimum amount of resin....... Available in Qts, Gallons, & 5 Gallon Pails. HARD ROLLERS High Performance Straight Groove Production Rollers. High quality grooved rollers, a must for quality fiberglass jobs, clean up easily in acetone or solvent, aluminum rollers can be filed to remove any burrs. 5% Discount with purchase of any combination of 10 or more rollers. Excellent for Cutting or Trimming fiberglass. 1.5 oz per square foot chopped strand random mat. 10 oz per square yard woven cloth. GENERAL DESCRIPTION: Poly-Buff 600 is a fine-particle ultra high smoothness paste used as a polishing compound. Poly-Buff 600 is economical, easy to use and produces superior results. When properly used, you can achieve swirl-free finishes. This water-based compound is environmentally friendly. A smooth, high-gloss finish can be obtained on gel-coated boats; automobile hoods, bathtubs, showers, pools, and hot tubs. It is very clean to use. If you are having a hard time polishing or are removing scratches, you are probably using too slow a buffing speed. Increase the speed to at least 2500 rpm. "SOLD BY THE GALLON"
3M Superbuff Compounding Pads are double sided pads designed for compounding gelcoat and marine paints. They are constructed of wool with a built in light weight support pad. 3M Superbuff Exetension Adapter (05710) fits these pads to all standard (5/8 inch shaft) slow speed polishers. Compounding Pad Ranked by aggressiveness, Most Aggressive on top, 3M Performance Rank..... 3M-05703..-> Superbuff III Preferred with stiffer center hub, 100 percent wool..... 3M-05705..-> Yellow. Double sided, soft edge Polishing Pad. * Untwisted yarn construction allows for more surface contact, while giving excellent cut and finish. * Excellent for all paints and clears. * White colored pads, more aggressive for compounding applications. * Use yellow polishing pads such as 3M-05705 for finer glaze finish. Measures MEKP "Fiberglass Hardener" accurately and without spillage. Squeezing the bottle fills the small measuring cup and releasing draws fluid from measuring cup. Reusable Syringes . Load with resin mixture for injecting into tight spots or air bubbles in cloth layups. When properly fitted, helps provide respiratory protection from certain organic vapors and particulates at concentrations up to 10 times the permissible exposure limit. 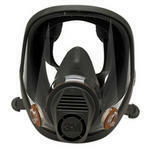 ""Select a size Small, Medium, Large""
This Full face respirator has a soft lightweight facepiece, that requires limited cleaning maintenance between uses. When properly fitted, helps provide respiratory protection from certain organic vapors and particulates at concentrations up to 10 times the permissible exposure limit. Comes complete with 1 set of organic vapor cartridges. ""Select a size Small, Medium, Large""
Tyvek coverall suites have, Front zipper, Elastic around wrists, Attached hood and Boots. Available in : Large, Extra Large, Double Extra Large & Triple Extra Large. Natural color hog bristles with plain wood handle for applying fiberglass resins and adhesives. Withstands most thinners. Orthophalic Boatyard quality resin. Excellent saturation of fiberglass cloth. Top coat for fiberglass repairs as it contains wax and hardens last layer. "" Will require sanding between coats ""